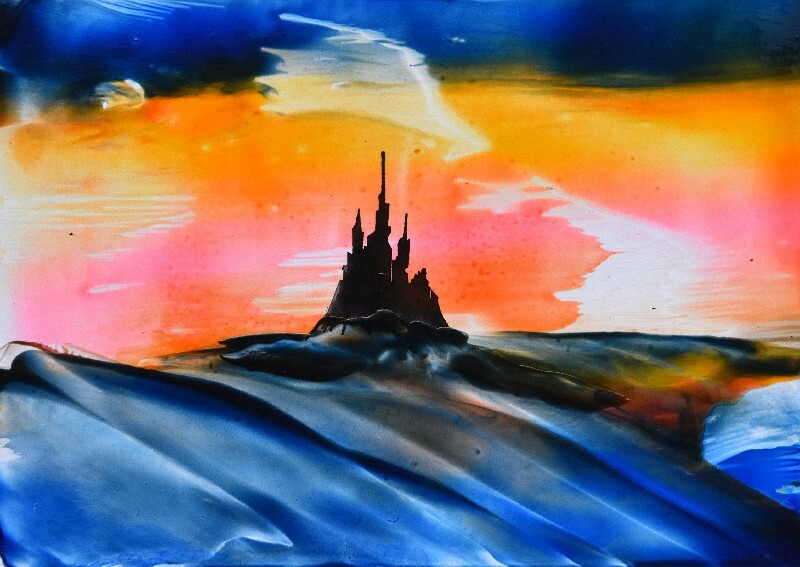 Popular in fantasy images, this small castle will add depth to your mystical fantasy-scape. Be careful to make sure the wax colour at the base of the castle is dark. This helps “tie” the graphic into the image rather than allow it to “float about”.